PeakView Software v2.1 is a stand-alone software application that is compatible with all SCIEX mass spectrometer systems for the quantitative review of LC/MS and MS/MS data. The software enables exploration and interpretation of mass spectral data with tools for processing accurate mass data, structural interpretation, and batch analysis. For the inquisitive data explorer, PeakView® Software is everything you need for spectral analysis and data interrogation. Easily review, identify, superimpose, compare samples, and label peaks in just a few clicks. PeakView Software supports mass spectrometer systems for qualitative review of LC-MS and MS/MS data as well as optional detectors such as UV and DAD. Gain rapid insight on your data. Screen and identify peaks automatically by processing LC-MS/MS data using information on retention times, accurate mass, isotopic pattern, and MS/MS library searching. When it comes to PeakView, I’ve found SCIEX users I work with really love the “open mol file” option, which helps them visually connect and confirm the MS/MS data to different sections of the structure for the molecule of interest. Data review and presentation is simplified and enhanced with functions that allow comparison, identification, labeling, and creation of informative contour and overlay plots. In my experience, the customers I support tell me they really like the speed that PeakView offers in instances such as searching metabolites using neutral loss, precursor, isotope pattern, mass defect filter and so forth. This really saves the customer a tremendous amount of time. Interrogate data for a diversity of workflows through micro-applications including SWATH® Acquisition, Bio Tool Kit, and MasterView™ Software. I’ve learned there are multiple features that have been very impactful for customers I’ve worked with. For instance, the feedback we receive on the intact protein reconstruction’s ability to deconvolute data is often─ “Oh, it is fast! Need help? 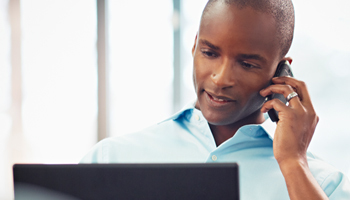 SCIEX Support is here to help you resolve issues immediately or answer any questions. Ask questions, find answers, and connect with users like you. Don’t miss anything, see everything all at once because PeakView Software allows comprehensive data coverage. Identify peaks across scales and with varying intensities in a single spectrum, whether you’re a novice or advanced user. From raw mass spec data to final output result validation and visualization, informative visuals such as overlaid chromatograms or heat maps help you quickly view and identify peaks easily. PeakView Software is ideal to get an in-depth insight of your data, and the broad range of tools serves as a great first source for generating your pre-publication reports. Quickly calculate and determine all possible elemental formulas to detect masses using both accurate mass and isotope distribution with Formula Finder. Using advanced algorithms that use chemical logic and available MS/MS data, efficiently and accurately identify and filter through non-targeted samples. The structural elucidation in PeakView Software links the masses of ions to structures to help identify and characterize compounds, explore possible sites for biotransformation, and provide insights into fragmentation mechanisms. Matching compositions and substructures to the MS and MS/MS allows users to confirm identity and explore more complex fragmentation pathways. Novel software micro-applications embedded into the PeakView Software enhances functionality for specific workflows. For instance, SWATH Acquisition micro-application. It is a comprehensive processing tool for quantitative proteomics. Associate your protein spectral ion library with your SWATH data and easily turn the comprehensive SWATH datasets into quantitative answers. Retention time calibration, advanced extraction and scoring algorithms ensure highest data integrity, which can then be exported to the MarkerView™ Software for statistical analysis. Another micro-application, Bio Tool Kit can be added on to PeakView Software to easily characterize your biomolecules. Whether you are characterizing your peptide by de novo sequencing, or your protein using peptide mapping and intact protein reconstruction, the intuitive, interactive tools allow you to find the right answer quickly. The extensive post-translational modification catalog ensures answers to the most challenging spectra can be determined. MasterView Software simplifies compound identification, quantitation, and data review from complex LC-MS/MS data files. The intuitive interface makes data review fast and easy and supports both targeted and untargeted data processing strategies. 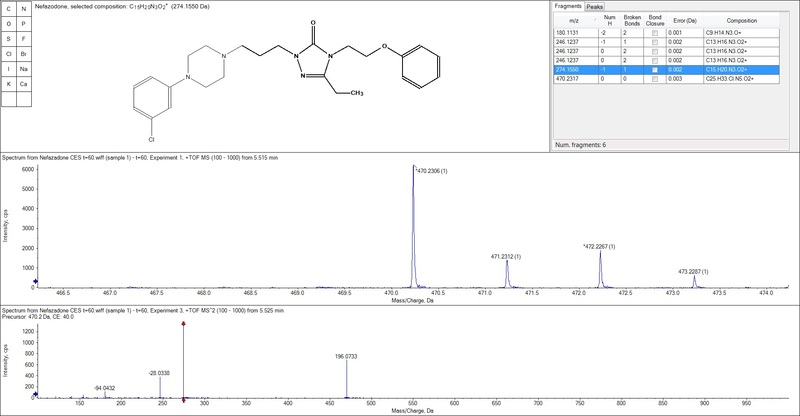 It also is seamlessly linked to LibraryView™ Software and the powerful chemical structure database; ChemSpider to ensure confident identification of your unknowns, without having to leave the MasterView Software interface. The best way to know the best solution for you is to experience it firsthand. Our experts are on standby to answer your questions. 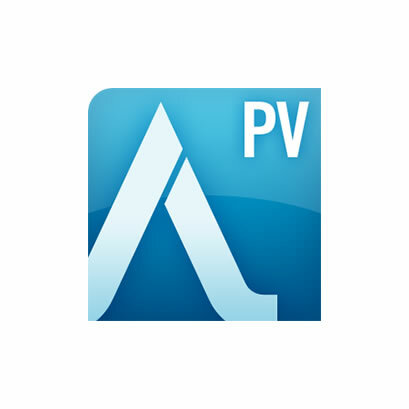 Browse or buy PeakView Software to get started today. Running the latest and greatest PeakView Software is easier and more affordable than you think. An information dependent acquisition (DIA) viewer presents data in a convenient graphic and tabular view with specialized tools to filter data based on criteria such as quality, mass defect, and isotopic pattern. Functionality for working with MS/MSALL data (precursors of all products) enables visualization of the entire fragmentation space in a single plot as well as instant comprehension of common fragments and neutral losses. Formula Finder: Formula Finder is an enhanced elemental formula calculator for small molecule analysis. It quickly calculates all possible elemental formula for detected masses using both accurate mass and isotope distribution. The software will use MS/MS data when available to confirm the identity of the most-likely candidates, while applying chemical logic to filter out unlikely candidates. Interactive re-calibration tools based on common background ions or experimentally-determined fragment masses ensure highest accuracy mass reporting. Figure 1: The Formula Finder tool. Structure elucidation: PeakView Software links the masses of ions to structures (saved as .MOL files) to help identify and characterize compounds, explore possible sites for biotransformations, and provide insights into fragmentation mechanisms. Once a structure is linked to a spectrum, parts of the structure can be selected to determine if there is a corresponding peak. Matching compositions, substructures, and mass peaks can all be observed. To show more complex fragmentation pathways, the fragment options can be modified. Additionally, the structures can be modified to explore the fragmentation of related compounds. Figure 2: Structure of buspirone determined by MS/MS data. XIC Manager: The XIC Manager allows you to manage large lists of compounds and perform automatic, extracted-ion-chromatogram (XIC) calculations and other peak-finding operations. It consists of a tabled list of masses or formulas to generate XICs, as well as a review pane for XIC results including any library search results. Information such as intensity, retention time, library search results (if applicable), and confidence is displayed in the table. Each column of the result table can be sorted, filtered to display specific data, or searched for specific information. Figure 3: Result Table using XIC Manager. Protein Quantitation MicroApp: The Protein Quantitation 1.0 MicroApp is a PeakView Software plug-in that provides a seamless transition from ProteinPilot™ Software version 4.0 to MarkerView™ Software version 1.2.1 for profiling peptides and proteins across multiple samples using MS-peak extracted ion chromatograms (XIC) for quantitation. The tool allows selection of proteins and peptides from ProteinPilot Software group files, extraction of MS peak areas, and data export to MarkerView Software. Once in MarkerView Software, the data can be analyzed using statistical analysis tools to determine groups of similarly-behaving samples, proteins or peptides, outliers, and other relationships between peaks that can lead to biological discoveries. The Protein Quantitation MicroApp is a free download and requires ProteinPilot Software version 4.0, PeakView Software version 1.1.1 and MarkerView Software version 1.2.1.